A long, long time ago when we were rigidly zoned in on metabolic syndrome (I think we called it the Disease of Our Time) I ran across this “gunk” created in our bodies called AGEs or Advanced Glycation End-Products. Those of you who remember these articles will certainly remember that I had the darnedest time understanding what AGEs were, because every single page we found on the subject said the same exact thing, with no explanation of their terms or of the processes involved in their development. It was then that we realized that not a single person writing about them on the web knew what the hell they were talking about and were simply parroting the other websites. We were the first to actually explain the processes and we’re not about to explain them again, so if you want to know how they are created, go here: Advanced Glycation End-Products. Now that that’s out of the way . . . .
Let me introduce you to something called MG, or Methylglyoxal. It is a metabolite. A metabolite is something that is either necessary for metabolism (the cellular level process of feeding all living creatures) or it is formed by metabolism. MG is formed by metabolism. The pharmaceutical industry is well aware of these metabolites because when the body breaks down a drug, it’s the metabolites that can cause all those rotten side effects. Sometimes, however, the metabolites are exactly what the drug was intended to produce. Take codeine. MG is not your nice metabolite. It is produced during metabolic chemical reactions in our cells, but in diabetics, these metabolic chemical reactions are overactive, trying to do something with all that extra sugar floating around. In fact, it’s that extra sugar that causes the glycation that produces those AGEs we talked about, and those interfere with our proteins in our muscles, eyes, kidneys, and heart (the parts that are most damaged for diabetics). And folks, it’s that MG, a reactive metabolite, that starts the ball rolling on the glycation process. Because MG is so prevalent in diabetics, it was thought that obesity and diabetes were causing MG to be produced. But new research tells us that MG is the cause of obesity and diabetes. You see, scientists have been studying diabetes for a long time, and you’ve probably read advertising for a number of books telling you how to beat diabetes. And yes, there are things you can do to control your blood sugar with diet and exercise and supplements that keep blood sugar low, but there is still a problem. 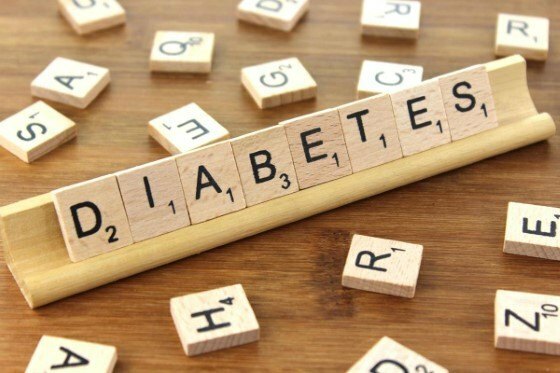 The effects of diabetes on muscle tissues, the kidneys, and the heart just did not go away when people kept their blood sugar under control, and that baffled the hell out researchers. Until they started examining MG.
You see, one of the reasons all these terrible things were happening to the body when blood sugar levels were normal was because of this damn MG. He hung around and just kept trashing his hotel room. So scientists took some poor little fruit flies (time flies out the window, but fruit flies last forever) and genetically engineered them to turn off the enzyme that breaks down MG. The flies developed insulin resistance and got so fat they had hard time taking off, let alone flying. Now let’s jump ahead a few intermediary species to us humans. There are treatments and there are treatments and supplements and exercise for diabetes. Diabetes has become an entire industry. Many of our recipes here at Wellness Journeys are designed to keep blood sugar levels from spiking. We’ve even developed a Banana Chocolate Chip Omega Muffin that doesn’t raise blood sugar (significantly). Keeping blood sugar levels from spiking is still a good thing because it cuts inflammation. But there’s this other thing going on in diabetics and pre-diabetics. Researchers have known all about antioxidants and how they can protect us, and many have suggested using those to help combat the effects on the body from high blood sugar. But they ran into problems with this route because studies show mixed results. And then there’s the fact that there are a good number of reactive metabolites out there for diabetics to deal with, not just MG, although this one seems to be doing most of the damage. But let’s adjust our focus on this MG fellow and his role in creating AGEs, because it is this role (creating AGEs) where scientists made a breakthrough recently (April 2018) published in Cell Metabolism. A friend of ours, Byron Richards (passed away jogging), wrote about this way back when, and we even wrote about it in our paper on AGEs, not knowing Byron had already written his paper (which we could have referenced). The problem is it’s lacking in diabetics, which can lead to that glycation process that stiffens up muscles (by forming those gunky AGEs) so that many diabetics really don’t get all the benefits of exercise. L-Carnosine is a potent antioxidant that protects the muscles (and the heart) prevents kidney damage, has a relaxing effect on the brain (and can boost mood), and it halts the glycation process; those AGEs. And how it halts the glycation process is why we wrote this article in the first place, because it also beats MG senseless. Yes, it is L-Carnosine that is MG’s greatest nemesis, and MG cannot survive in a body charged with L-Carnosine. If you’ve looked at our article on AGE’s, you’ll see we give a pretty hefty focus on L-Carnosine as being the best way to clean up these gunky things, and now we know from this new research that L-Carnosine will actually inhibit the process of glycation before the gunk is created, and inhibit MG from trashing his hotel room. Even though there is continuing research going on right now, it’s pretty much accepted by nutritionists keeping up on this research that if your fasting blood sugar level is over 90, you should be taking 1500 mg of L-Carnosine per day. If you have type two diabetes or are pre-diabetic, you should be taking at least one 500 mg capsule with two meals, totaling 1000 mgs (or 1 gram) per day. And if you are just a regular Jane or Joe, 500 mg of L-Carnosine daily is a pretty darn good preventive measure. And we get ours at Swanson Vitamins, our best affiliate program. Supporting our affiliates supports us. Websites don’t hold themselves up. One day I got extremely sick, could not keep anything down, had blurry vision, a rapid heartbeat, and began hyperventilating. My blood glucose level in the ER was in the high 500s and my A1C was 9.7. Since then, I have developed neuropathy, which makes life pretty difficult but I was able to get rid of it totally with the help of [removed by moderator]. If you have diabetes there is herbal formula that neutralize the disease [removed by moderator]. I’m sorry, but that’s a fake email address and this is spam. We will have none of that here. Yes, it’s missing from their site. I’ve just sent them a note. Hopefully it will come back up. I’ve contacted the site. The FDA forced them to take that paper down.